Volunteers can support the Boston public schools by serving as judges at monthly tournaments through the Boston Debate League. Photo courtesy of Boston Debate League. As Public Service Programs Coordinator at the BBA, I get a firsthand look at the great work the BBA and its volunteers do on behalf of Boston youth, veterans, and unrepresented litigants. That’s why I jumped at the opportunity to participate in a BBA Public Service Program as a Boston Debate League judge at English High School in Jamaica Plain on Friday. While I had participated in debate during high school, it had been seven years since I had attended a debate tournament and I was not sure what to expect. When I walked into my first round, I saw two boys skateboarding in the corner and two girls chatting with each other about their weekend plans. I could barely hear the students when I asked them to introduce themselves and the teams exchanged awkward handshakes without making eye contact. The first girl who stood up to speak was so nervous that she restarted her speech three times. However, halfway through her speech the dynamic in the room completely changed. She began speaking louder and placing emphasis on her key arguments. At the same time, the two boys on the other team began furiously writing out their next speech and rustling through their folders for the evidence to counter the arguments. Both teams spent the rest of the hour long debate firing questions back and forth and discussing the pros and cons of eliminating the United States’ trade embargo on Cuba. The second round followed a similar format where the students were initially very shy and disengaged but started passionately debating the strengths and shortcomings of the Cuban healthcare system and the United States’ moral obligation to address the widespread human rights violations and political oppression in Cuba a few minutes into the round. It was clear that these students are passionate and driven and debate brought out these qualities. As a former high school debater, I can honestly say that debate had the biggest impact on my preparation for college and professional endeavors because it helped me develop critical skills at an early age. Debate helps you improve skills, such as public speaking, research, and critical thinking, while also building confidence. Boston Debate League brings this opportunity to high school students throughout the Boston public school system who may not get this chance elsewhere. I encourage you to see the impact of Boston Debate League for yourself by judging at an upcoming tournament. The commitment is small—just 4 hours—and you can volunteer on a Friday or Saturday depending on your schedule. Please contact me at kdangelo@bostonbar.org for more information on how to get involved. 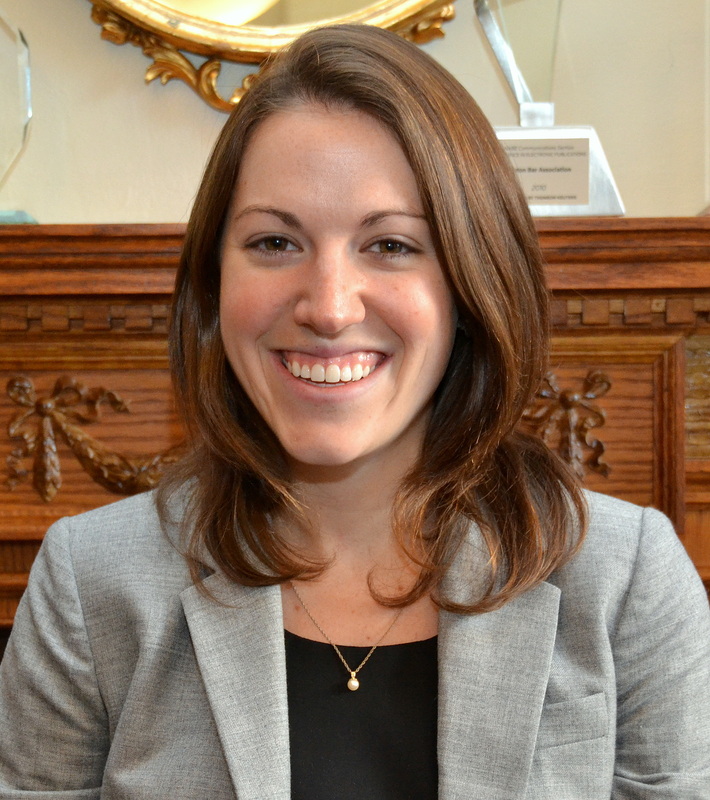 Katie D’Angelo is the Public Service Programs Coordinator at the Boston Bar Association. 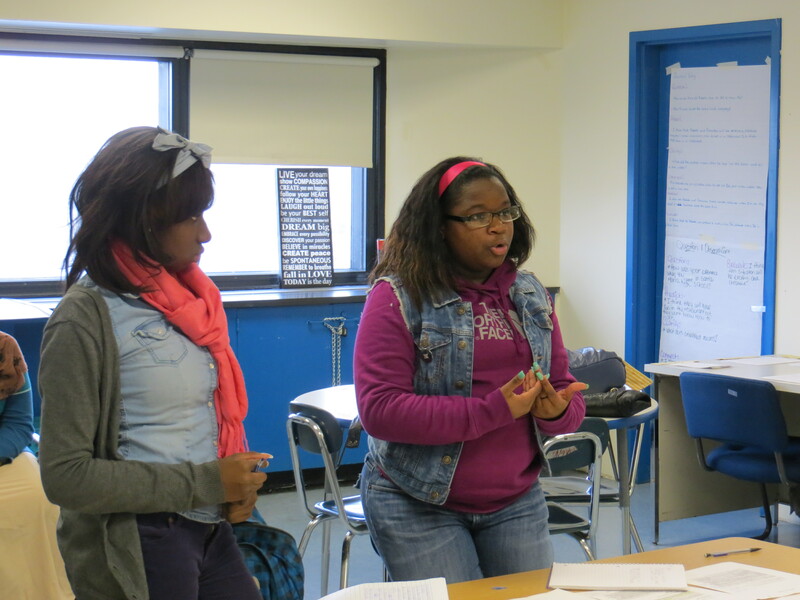 Students practice preparing & presenting their aurguments. Photo provided by Boston Debate League. 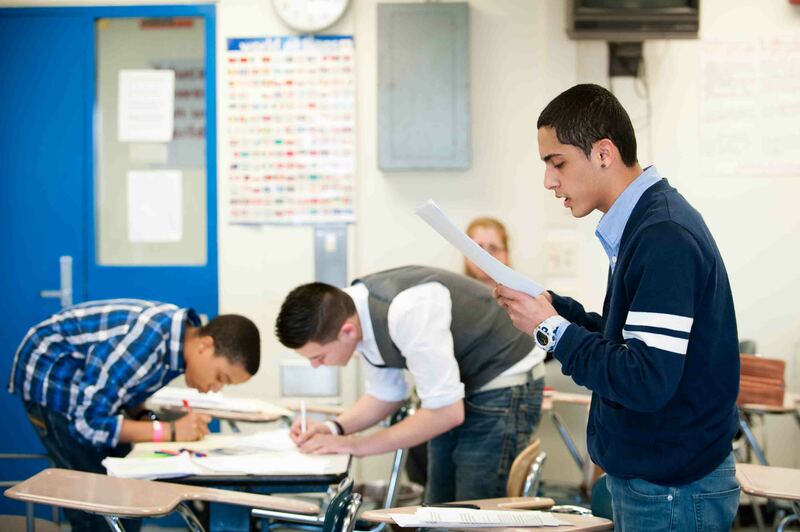 As many of our readers know, the Boston Bar has an ongoing partnership with the Boston Debate League (BDL) to help teach Boston Public High School students critical thinking, persuasive writing and effective communication skills. Part of our partnership means finding volunteers generous enough to spend their time volunteering as judges and mentors for the urban debate teams. On behalf of the BBA and BDL, we thank our volunteers who donated their time during October and November to help close the achievement gap in Boston. If you are interested in volunteering for BDL, you are in luck! BDL has two tournaments this month. Click here for more information on how to volunteer. If you are anything like me and you look forward to stepping away from a busy litigation practice on weekends to run a 5K for a charity or hit the gym then you know how these tune-ups can recalibrate your heart and mind. But what about your soul? Well, I’ve got an invitation for you. Two years ago, the BBA joined in a partnership with an amazing program that has taken flight in the public schools of our capital city called the Boston Debate League. As lawyers we all know a thing or two about a healthy intellectual exchange and you will never feel more engaged than you will working with these remarkable students who are just thirsting to tap into your talent and bursting with enthusiasm. The students put in long hours over months methodically preparing to debate a topical issue which is played out under your direction in a series of competitive rounds in which you will share your own unique gifts of structure, guidance and inspiration. When you share your time and wisdom you are “giving back” in theory but the reality is that your own personal “take away” is something that warms your soul for a long time forward. The students learn and enhance skills that you can see will raise their long term game by giant steps and you will be astonished at their work product, respect and cooperative immersion in this brilliant program. The BDL staff including Shannon Watson and Sarah Amaral are fabulous and they will assist you in choosing to work one or more rounds as the competition moves toward the championship finals. You will surely feel great doing good on a level you seldom experience. A small investment of as little as three hours on a Friday evening or Saturday will undoubtedly produce a high yield return for participants on both sides of the students and lawyer equation. Please consider contacting Sarah Amaral, BDL Volunteer Coordinator at [sarah@bostondebate.org] with any questions or our own Katie D’Angelo, BBA Public Service Programs Coordinator at [mailto:kdangeol@bostonbar.org] to seize your opportunity to help the students shine bright. 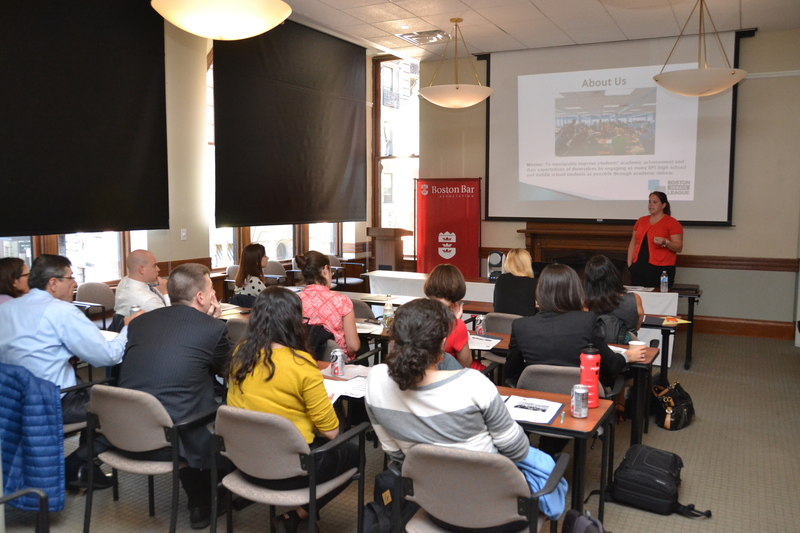 The Boston Debate League judges training is one of the many public service-related events taking place at the BBA this month. If you are interested in diving into public service this fall, Beyond the Billable has you covered. The month of September offers a number of occasions to receive specialized training and information on opportunities to get more involved in the community. • Calling all new lawyers— join the New Lawyers Section for a Pro Bono Kick Off Meeting and Info Session on September 11th from 5:30-7:30 to learn how you can get more involved in public service activities through the BBA. Click here to register. • Are you looking for a new pro bono opportunity? Attend to the CORI Training on September 16th from 3-6 pm. The training will prepare you to help clients from Roxbury, Dorchester and other low-income Boston communities to seal their records and break the cycle of poverty and unemployment. Click here to sign up. • Learn how to be an effective volunteer judge for the Boston Debate League (BDL) at the training on September 24th from 4:30-6 pm. BDL offers busy attorneys low-commitment and meaningful volunteer opportunities. 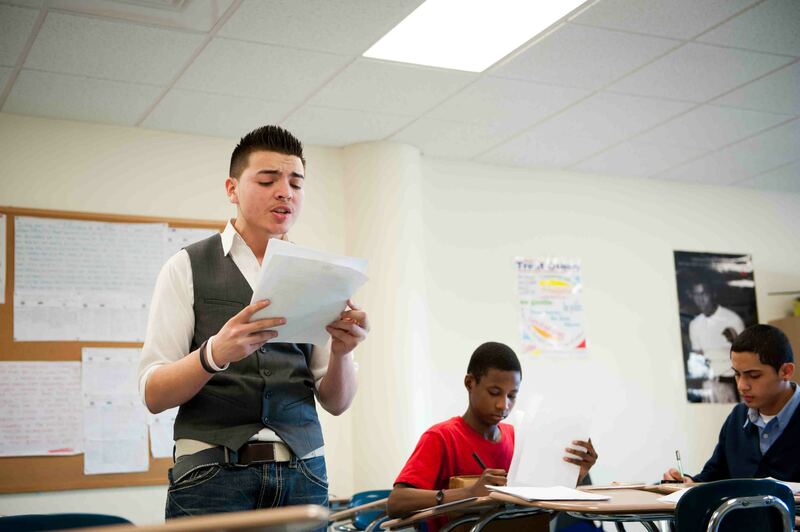 Attorneys can use their unique skills to help Boston Public High School students improve their critical thinking, public speaking, and argumentation skills. Click here to sign up for the training. Stay tuned for more public service opportunities coming up later this fall. With Pro Bono Month fast approaching in October, the calendar will continue to fill up. As you’ve no doubt noticed, Beyond the Billable is always posting about our public service partnerships across Greater Boston. One of our newest partnerships is the Boston Debate League (BDL)—which works to develop academic debate skill among Boston Public High School students. As we learned when we sat down with two BDL representatives recently, March is a particularly busy month for the program, for both potential and past volunteers. A Boston Community Leadership Academy student and a New Mission High School student debate during a Boston Debate League round. (1) Are you looking to volunteer? Serve as a judge at the Fish & Richards City Debate Championships on March 15th or 16th at English High School and Trinity Middle School. Volunteers judge for about 4 hours and a short training is provided. Please contact Sarah Amaral, BDL Volunteer Coordinator, at sarah@bostondebate.org to sign up. (2) Want to sit in on a debate session before volunteering? On March 19th you will have a chance to see the top debaters in action at the City Council Debate 2013 hosted by Councillor Charles Yancey. , where students will debate current Massachusetts Bay Transportation Authority policies for an esteemed panel of judges. The event will take place from 5:30-7:30 pm at Boston City Hall. (3) Have you volunteered as a judge or mentor? Don’t miss the chance to join the Boston Debate League in honoring the hard work of the debaters on March 22nd at the Annual Spring Awards Ceremony from 6-7:30pm. The event is hosted by the Boston University School of Education, the Boston University Black Law Student Association, and the Boston Debate League and will take place at the Boston University Law School Alumni Auditorium. Did anything above catch your eye? Contact Katie D’Angelo, Public Service Programs Coordinator, at kdangelo@bostonbar.org for more information. To learn more about the impact BDL has on urban youth, click here.